To rent or to buy, that is the question, and it’s a difficult one that many people grapple with in a constantly changing housing market. 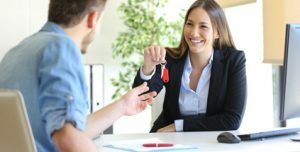 Because the costs of buying a home, as well as homeownership can be difficult to get a handle on, it can be challenging to calculate if renting or buying has the greatest financial advantage. However, according to a 2016 report from Trulia, although home buyers can expect to see a steady climb of housing prices, low mortgage rates continue to make buying a home a better financial move for most Americans than renting. In fact, the report took into consideration the total cost of renting and compared it with the total cost of buying and with their methodology found that buying a home was 37.7% cheaper last year than renting. This may seem confusing as housing prices jumped 5.9% nationally last year compared to 3.5% for rents, however, when comparing the option of rent vs. buy there is more to consider than a larger jump in home prices. Homeownership can have many advantages over renting, especially when you consider the possible tax deductions that come with owning your own home. Also, assuming you get a fixed interest rate, your house payment does not fluctuate with the economy unlike rent increases. However, before biting the mortgage bullet and singing on the dotted line, there are also other things to consider if you expect that nearly 38% savings added to your bank account. 1. How Much Money Can You Put Down? Unless you put down a 20% down payment, you will have to pay PMI (Private Mortgage Insurance). This insurance protects the lender from a foreclosure and it can come at quite a cost. Without a 20% down payment expect to pay 0.5% – 1% of the entire loan amount in PMI on an annual basis until your loan balance reaches 80% of the original home value. Add this figure along with home owner’s insurance and taxes to get an idea of what you will be paying above the principal and interest on your mortgage each month. 2. How Long Will You Own Your Home? If you want to reap the nearly 38% savings of owning over renting expect to stay put for a while. You will need to stay in your home for seven years to gain that much financial advantage in buying a home vs. renting. Building equity in your home takes time, especially when you calculate the initial expenses of purchasing a home (down payment, closing costs, landscaping, etc.) and the cost that comes with selling your home (any upgrades, realtor’s commission, etc.). Generally, the longer you stay in the home the greater your savings. While most people will gain financial advantage from buying vs. renting, it can depend on where you live. According to Trulia, while the median home value in Columbia, South Carolina was $124,733 last year, it was a whopping $1,094,742 in San Francisco, California. While this still doesn’t necessarily equate to a greater financial benefit from renting, finding affordable housing will be key in your decision making. Careful consideration of your circumstance (along with down payment and how long you will live in your home) will need to be taken in order to make the best housing decision for you and your family. Deciding where to rent or buy can be a complicated one. Our mortgage repayment calculators will help to inform your decision making. What led to your decision to rent or to buy a home?